Dr. Isaac Prilleltensky is Dean of the School of Education and Human Development and Vice Provost for Institutional Culture at the University of Miami. Isaac holds the inaugural Erwin and Barbara Mautner Chair in Community Well-Being. 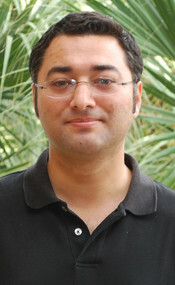 He has published eight books and over 130 articles and chapters. His interests are in the promotion of well-being in individuals, organizations, and communities; and in the integration of wellness and fairness. Among other honors, he is the recipient of the 2011 "Distinguished Contribution to Theory and Research Award" of the Community Psychology Division of the American Psychological Association, and of the 2014 Lifetime Achievement Award in Prevention by the division of Counseling Psychology of APA. Isaac is a vegan, fitness aficionado, and humor writer. His humor columns have been published in The Miami Herald and Miami Today. Miriam Lipsky is the Assistant Provost for Institutional Culture. Dr. Lipsky earned her Ph.D. from the University of Miami in 2011 in Language and Literacy Learning in Multilingual Settings. 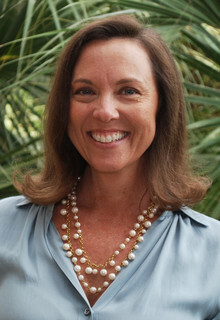 She holds a Master's in Education and Human Development focusing on Human Resource Development from the George Washington University, a Master's degree in Elementary Education from the University of Miami, and a Bachelor's degree in Economics with a concentration in Public Policy from Swarthmore College. Prior to joining the University of Miami, Dr. Lipsky held a variety of leadership positions in the training and development field, where her work focused on customer service, career planning, and culture transformation. 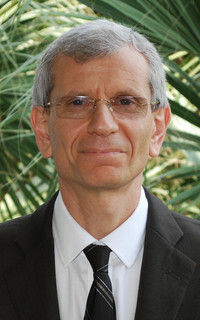 Dr. Lipsky joined the University of Miami in 2010 as the project manager for Project INCLUDE, a 5-year, 1.5 million dollar grant from the U.S. Department of Education, Office of Special Education Programs (OSEP) for the restructuring of the undergraduate curriculum in the University of Miami's Teaching and Learning department to create a merged, dual-certification program in general and special education. As part of this project, she led a 5-year longitudinal study on pre-service teachers' attitudes toward inclusion. Dr. Lipsky's other research interests include culture transformation, and language and literacy development in early childhood and among second language learners. As a lecturer in the department of Teaching and Learning, Dr. Lipsky has taught courses on literacy, psychological foundations of education, and professional development and supervision of teachers (clinical education). She is an animal lover (especially dogs! ), and enjoys travelling, photography, ceramics, Hurricanes Baseball, and spending time with family and friends. Dr. Samantha Dietz is the Executive Director of Programs for the Office of Institutional Culture. She has worked at the University of Miami since 2000 in various capacities as a student, consultant, and research staff member for the School of Education and Human Development (SEHD). 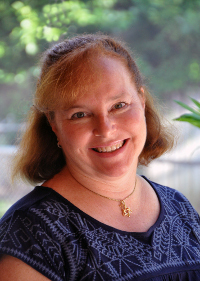 In 2004 she completed her Ph.D. in Teaching and Learning specializing in Emotional and Behavioral Disorders. As a Licensed Clinical Social Worker since 1995, and a Certified Master's Level Addiction Professional as of 2016, she has diverse community-based clinical experience helping at-risk children and families, and individuals managing their recovery from substance abuse and addiction. During her tenure at UM, Dr. Dietz has worked as a research project coordinator for large federally funded longitudinal and intervention studies addressing child and adolescent development and learning. Her most recent research activities have contributed to the development of adult well-being through efficacy testing of an online well-being intervention she helped develop. She has contributed to publications on issues related to the development of children and adolescents from both an academic and psychological perspective, and on topics of well-being measurement and web-based interventions. She also enjoys being of service. For ten years, in addition to her regular work, she trained and supported novice teachers in her role as emotional and behavioral support specialist and trainer for UM's Teacher Support Network. As a SEHD staff member, she served alongside residents in Overtown to help with multi-year community revitalization efforts and implementation of a youth leadership development project. From 2015-2017 she provided weekly volunteer clinical support at an adult residential drug treatment facility. Most recently, she became a member of the Board of Directors for the YES Institute, to assist in achieving YES Institute's mission to prevent suicide and ensure the healthy development of all youth through powerful communication and education on gender and orientation. During her down time she enjoys riding her bicycle, exploring nature, and laughing with her friends and family. Chris Hartnett is a Senior Learning and Facilitation Specialist for the Office of Institutional Culture, working under the leadership of Vice Provost for Institutional Culture (OIC), Dean Isaac Prilleltensky. While Chris is new to the OIC team, he has been at the University of Miami in several capacities from student to employee, having earned both his undergraduate and graduate degrees from UM. Most recently prior to joining the OIC team, Chris served as the Director of Residence Life in the Department of Housing and Residential Life where he was responsible for managing the residential curriculum, student programmatic efforts of the department, and supervising the professional staff members of the residence life unit. In his new role with the OIC, Chris will be responsible for hosting and leading training sessions, preparing culture transformation materials for online dissemination, and working with all team members to foster the spirit of culture transformation at the U. Additionally, Chris is also in the final stages of completing a Higher Education Leadership doctoral program in the School of Education and Human Development which will make him a 'triple' Cane. In his spare time, Chris enjoys traveling, watching movies, and spending time relaxing with family and friends. Adam McMahon is a graduate of the University of Miami with a B.S. and M.S. in Computer Science. Adam is responsible for developing the online components for the Office of Institutional Culture. His interests include developing large scale real-time interactive applications that promote health and wellness. Adam also holds an MA in Biblical Studies and is interested in how religion and spirituality play a role in workplace inclusion and diversity. 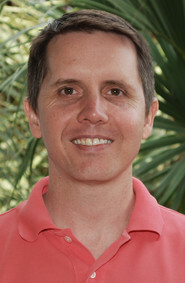 Dr. Cengiz Zopluoglu is an Assistant Professor in the Research, Measurement, and Evaluation (RME) Program in the Department of Educational and Psychological Studies (EPS) at the University of Miami specializing in educational measurement and statistics. 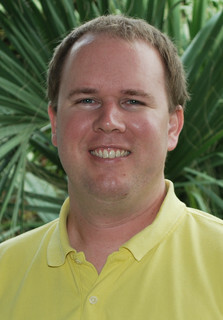 He joined the EPS faculty at the University of Miami in 2013. Prior to joining the EPS faculty, he received his Ph.D. from the Quantitative Methods in Education program in the Department of Educational Psychology at the University of Minnesota. In the RME program at the University of Miami, he teaches courses on educational measurement and psychometric theory and serves as a statistical consultant for the Research Methodology Services component of the Dunspaugh-Dalton Community and Educational Well-Being (CEW) Research Center. Wilson Mejía was born and raised in the Dominican Republic before migrating to New York City with his family at age 13. 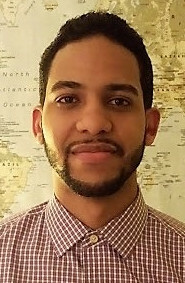 After graduating with his bachelor's degree in History from City University of New York's Lehman College, he became a Teaching Fellow with Citizen Schools, a nonprofit organization offering after-school enrichment activities to socioeconomically-disadvantaged middle schoolers. In this position, he also served as the primary point of contact between parents and teachers as the Family-Student Engagement Lead at Bronx Writing Academy. In 2015, he joined Teach for America's Dallas-Fort Worth Corps, where he developed leadership skills to become a community advocate. While in Fort Worth, he taught kindergarten at W.M. Green Elementary. In his classroom, he empowered his students to become future community leaders by emphasizing the importance of education and college readiness. Wilson is passionate about early literacy and parent involvement in the early stages of language development. He is now pursuing a M.S.Ed. in Community & Social Change at the University of Miami, and currently holds a Graduate Assistant position with the Office of Institutional Culture.